Promotional N10-N Logo Imprinted Photo Frame is designed to hold 4”x 6” photo. 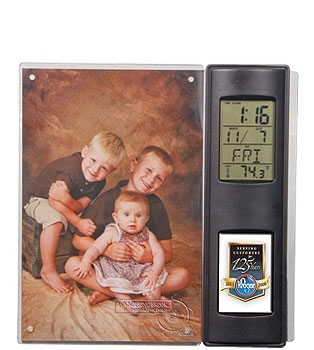 Personalized Photo Frame features 5-function construction. Promotional N10-N Logo Imprinted Photo Frame is available in Black color.